Green Tea is one of the best products for those looking to enjoy a drink with health benefits. Tea was originally used for many medicinal properties in ancient China and continues to offer many health benefits. Green tea has the maximum amount of antioxidants and poly-phenols which help in contributing to a person’s overall health. Nowadays consumers don’t need to visit a brick-and-mortar store but can simply buy green tea online through various online health stores. There are many online stores that provide honey and ginseng green tea to the customers. However, many are sceptical about why they should leave the traditional tea and go for a health drink that does not gives the sweetness and taste they are accustomed to. The ten benefits mentioned below will let you know why it can be beneficial for you to regularly have a cup of green tea. Weight loss: Green tea plays a vital role in increasing the body’s metabolism; the poly-phenol works to increase the speed of fat oxidation. Thus, it helps to up the rate at which the body burns the food and turns it into calories. Tooth decay: The chemical antioxidant known as catechin found in Green tea helps to fight bacteria and virus that can cause throat infection and other dental problems. Thus, green tea can be a good solution to keeping a good dental hygiene also. 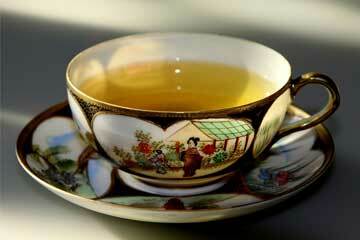 Skincare: The anti-inflammatory and antioxidants in green tea can help to fight off signs of aging such as wrinkles. Studies have demonstrated that when applied topically, green tea can also help to reduce sun damage. Decreases chance of Depression: Theanine, an amino acid in green tea can offer a relaxing and tranquilizing effect on a person’s brain. Thus, it provides them with feelings of being relaxed and reduces the chances of developing depression. Fights against Esophageal cancer: Consuming green tea on a daily basis can also help to reduce the risk of developing esophageal cancer. It kills the cancer cells without damaging the healthy tissues surrounding it. Fights Heart attack: Green tea works on the lining of blood vessels thereby keeping them stable during change in blood pressure. It may also protect against formation of clots, the primary cause of a heart attack. Prevent Diabetes: By controlling the glucose levels, green tea slows down the rise in level of sugar after a meal. Thus, it can also help in preventing sudden surge in insulin and unnecessary fat storage in the body that causes diabetes. Controls cholesterol: Consuming oily foods make your heart prone to various ailments such as high cholesterol levels, high blood pressure, stroke etc. Drinking green tea can help to keep these cholesterol levels in control as the antioxidants help to inhibit the absorption of cholesterol from large intestine. If you are looking to buy green tea online or have not found honey and ginseng green tea from a nearby store, you can look online for reliable stores such as Te-A-Me. Still confused about which tea will suit you best? Leave a message in the comment section below. Next articleDecorating 101: Do It Yourself Or Hire A Pro?